WordPress is a great platform for websites and blogs. The main reason is that it’s easy to manage and supported by a wide range of features, themes, and plugins. Because of its popularity, cybercriminals target WordPress sites naturally and attempt to hack your site. Criminals or bots from unknown parts of the world always trying to access your site (even now) with possible passwords. If you are using any security plugin, you will be notified about such failed attacks with given username, IP address, and the country from where the attempt is made. Installing a CAPTCHA plugin can prevent such attacks to some extent. Bots will fail in CAPTCHA testing as they can just insert pre-defined passwords in your login as well as lost password pages. We pick 3 best plugins to activate CAPTCHA on the WordPress login page. All in One WP Security and Firewall is one of the free and best security plugins for WordPress. It will secure your website in many ways including login lockdown, database security, malware scanner, firewall etc. It also allows you to protect your login and lost password pages with a CAPTCHA form. 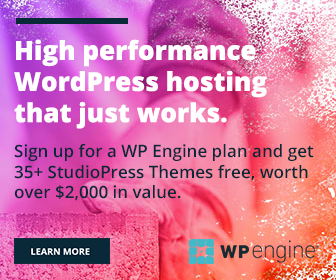 Sign in to your WordPress website first. Click Plugins > Add new and search for ‘All in One WP Security and Firewall’ plugin. Click WP Security from the left pane of your dashboard to expand settings. Choose ‘Brute Force’ to view relevant options. Click on ‘Login Captcha’ from the main screen. Scroll down to the second option, ‘Login Form Captcha Settings’ and check the ‘Enable Captcha On Login Page’ box. Scroll down again to the bottom to locate the ‘Lost Password Form Captcha Settings‘ and check ‘Enable Captcha On Lost Password Page’ option. The Captcha form is enabled successfully on both your login and lost password pages. Google Captcha is another plugin to add Google CAPTCHA on your login, registration, forgot password, comments and contact form pages. It also allows you to hide the CAPTCHA challenge for certain user roles and selected IP addresses. Others are required to confirm that they are not a robot before the form can be submitted. Math Captcha is a popular plugin to add Match challenges in WordPress. It is easy to use and integrates with login, registration, lost password, comments, and other pages in the site. Decide what kind of mathematical operation to be used, whether to display captcha as numbers on words. You can hide challenge for logged in users and set a time limit to enter the captcha value if needed.